I wanted to create a LO with this photos for a long time, but I waited for the right kind of inspiration. I finally got it. 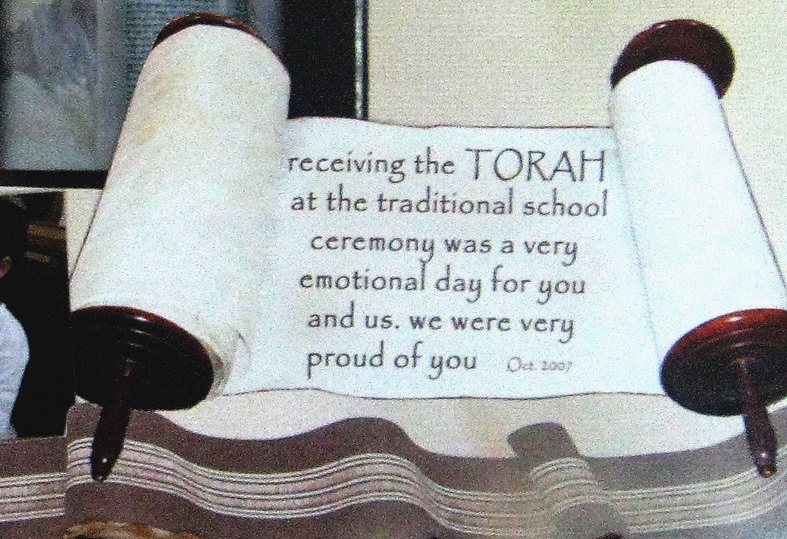 These are photos of my son's receiving the Torah ceremony at school. It's my first DT layout for ScraPerfect. I used a paper of my own design with a Tallit (a Jewish prayer cloth) on it. I found Torah images on line and printed them. I then printed my journaling on a piece of vellum. I used the Perfect Printing Pouch to make sure that the printing will be crisp and to prevent the ink from bleeding. Next, I created the title from inked and embossed chipboard letters. The letter "O" was replaced by a Star of David I created from wire and used my Embellie Gellie to pick up the beads more easily and insert them into the wire. 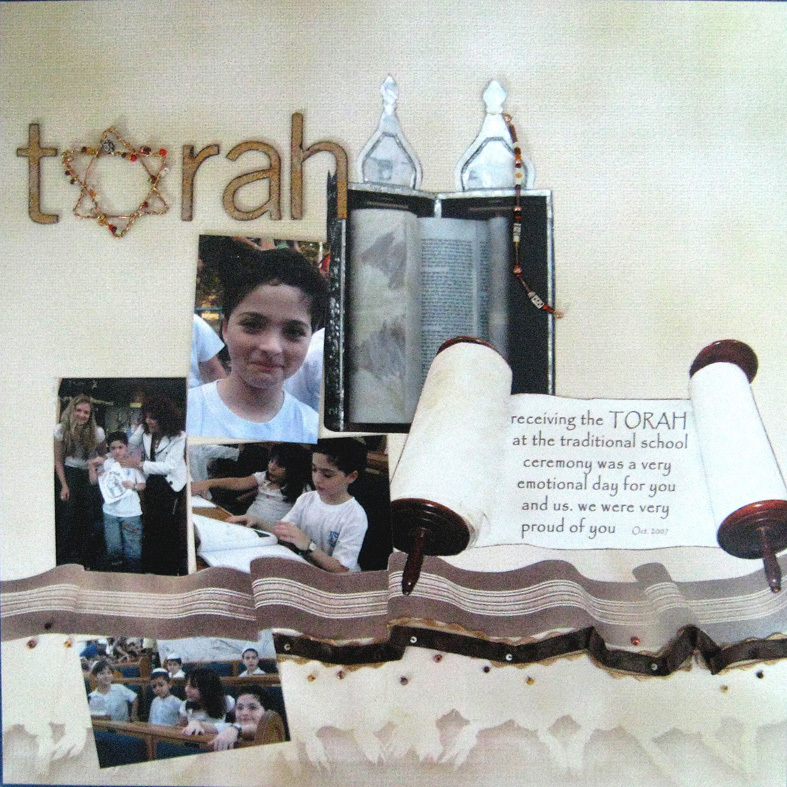 Lastly, I adhered the photos, Torah images and title then added a ribbon and beads to complete the layout. More details and photos can be found on the ScraPerfect blog. דף מקסים. 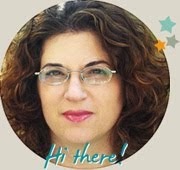 המגן דוד מהמם! Great layout! You are very talented!